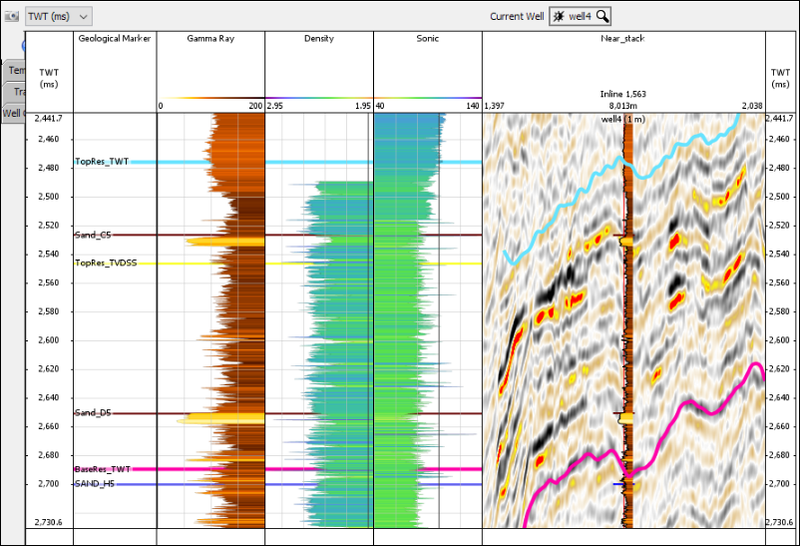 In well views, Insight uses the active well time-depth chart set for time-depth conversion. This affects all conversions performed at the well. 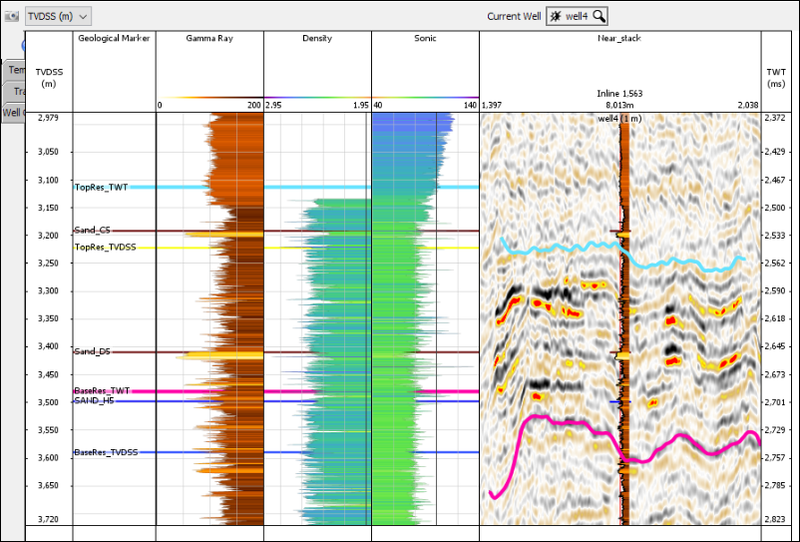 Let’s view how our data is depth converted in the Single Well View when displaying TWT domain. Now, how does this differ when depth converted in the Single Well View when displayed in TVDSS domain?